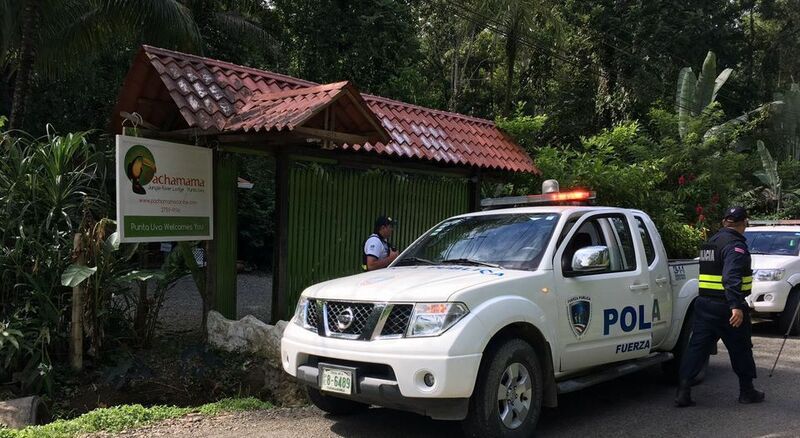 Following the chase, a gunfight and discovery of two bodies in a minivan Wednesday morning in La Sabana, police did not sit on their hands, by the end of the day they had eight suspects in custody. 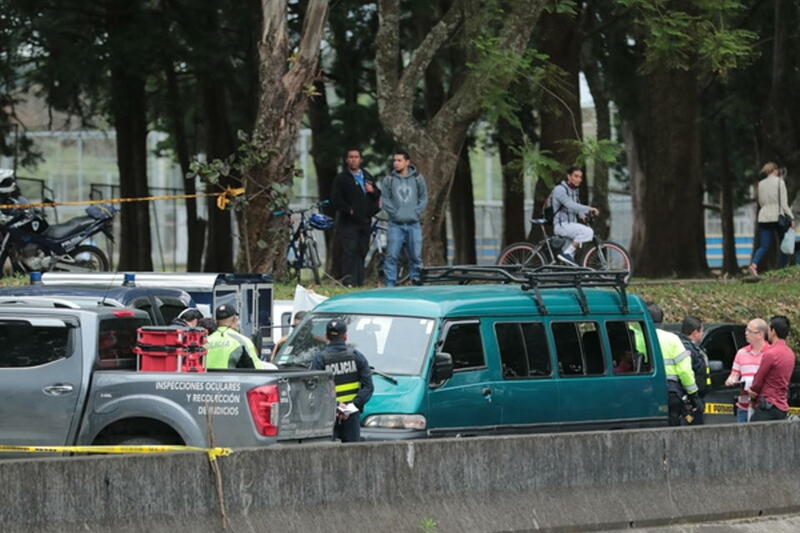 The story began in the early hours of Wednesday morning when the six live occupants of a green minivan, on the autopista General Cañas in the Alajuela – San Jose direction, were “paseando” two bodies looking for a place to dump them, when they ran into a police “reten” (checkpoint) in the area of the Nissan dealership. The reten caught the ‘repartidores’ (delivery men) by surprise, it appears, evading the checkpoint and police gave pursuit. 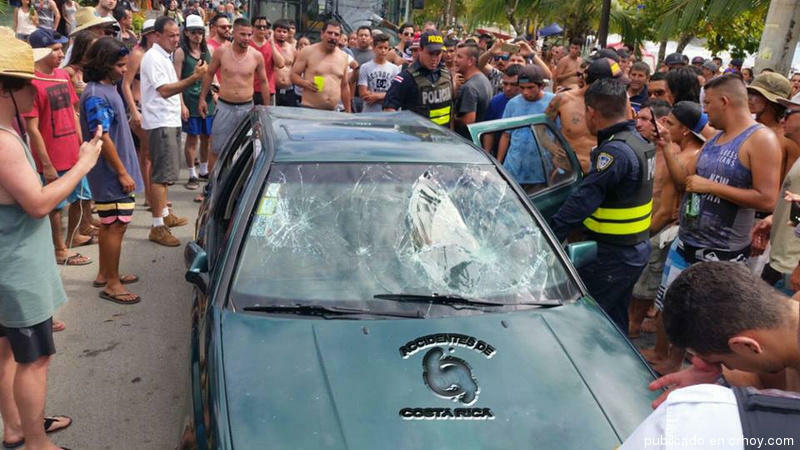 It was on the ramp off the Ruta 27, in the Caldera direction, that leads to the road in front of the National Stadium, that police cornered the minivan. 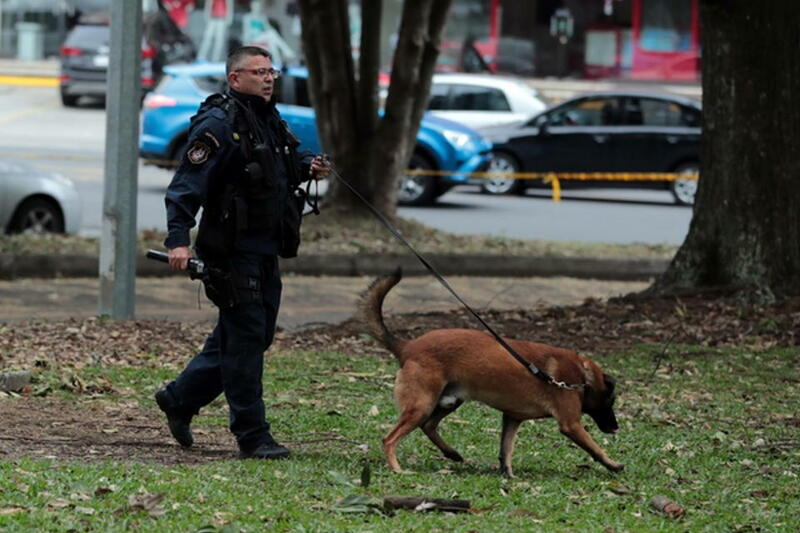 The men got out in a blaze of gunfire and spread out in various directions. 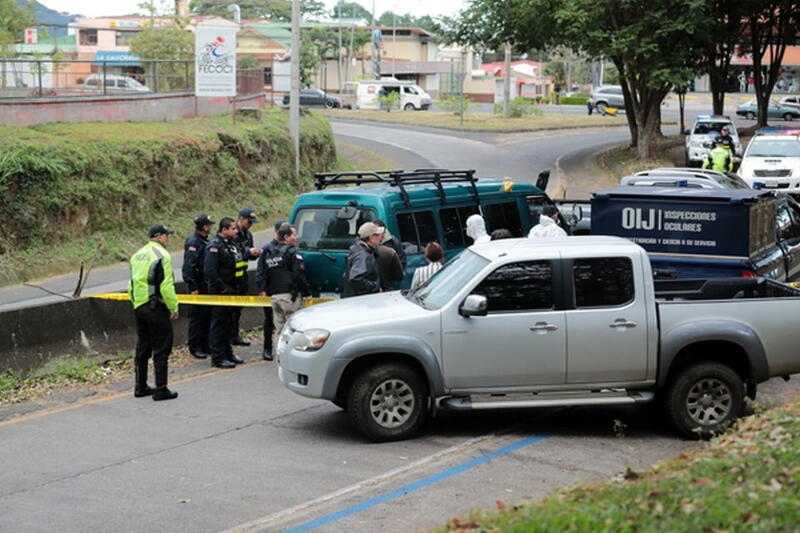 Álvaro González, head of the OIJ homicide section of San José, said that officials of the Fuerza Publica (National Police) were able to catch up with four of the six men fleeing the minivan. 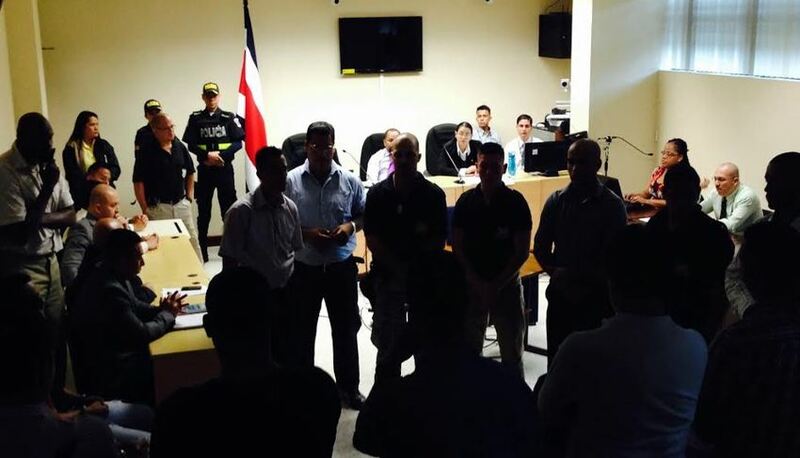 By the end of the day, around 7:30 pm, on Twitter, the Minister Publico confirmed the Fiscalia (Prosecutor’s Office) confirmed had eight men in custody. 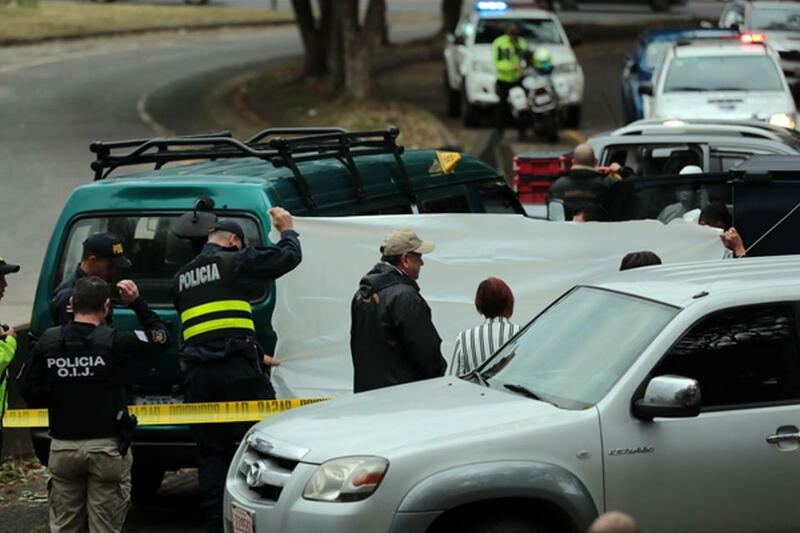 According to Gonzalez, the bodies were wrapped in blankets and the inside of the minivan was covered with blood and do not rule out the group was headed for the Ruta 27 to dump the bodies in some vacant lot. Unofficially, one of the bodies is said to have been decapitated and the head was in a handbag, also found inside the minivan. Gonzalez added that the police checkpoint was due to an increase in gang violence in the Pavas area, related to disputes between rival gangs battling for turf.